By AMICO. 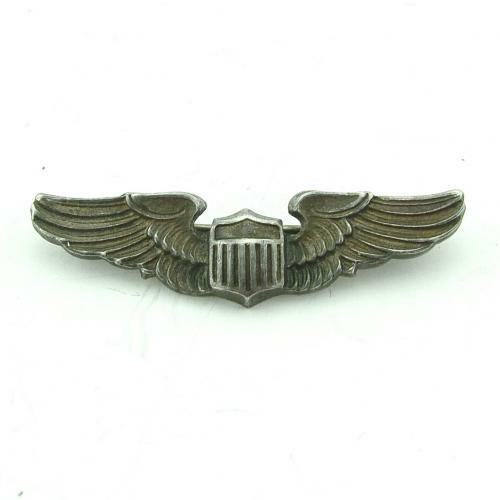 1.5" / 4cm cast Sterling silver pilot wing. Pin backed. 'Sterling' and maker marked. A lovely little sweetheart wing in excellent condition. Stock code U20437.